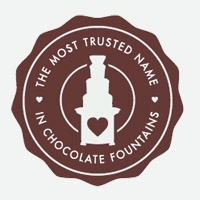 Wayne State University recently released the findings of a study that will surely please many dark chocolate lovers. Although scientists are continuing to discover the health benefits associated with eating moderate portions of dark chocolate on a regular basis, these findings take eating dark chocolate to a whole new level. Scientists at Wayne State University conducted a study and found that dark chocolate can produce a similar effect on the body as aerobic exercise like jogging and cycling. These types of exercise are healthy because they increase mitochondria production within muscle cells. Mitochondria are the parts of cells that create energy. When mitochondria increases because of aerobic activity, energy levels increase, and people experience a fuller workout. Wayne State University researchers discovered that the compound epicatechin, which is found in dark chocolate with 70 percent or higher cacao present, stimulates muscles to produce more energy the same way jogging a few miles would. 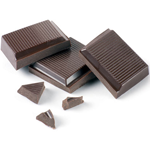 Dr. Malek of Wayne State University who headed the study (performed on mice) noted that epicatechin from dark chocolate particularly stimulated skeletal and heart muscles, and this effect was more noticeable in middle-aged mice who ingested the dark chocolate compound and exercised on the treadmill. Stop Exercising and Eat Dark Chocolate? This study on the positive effects of dark chocolate on muscle stimulation is in no way advocating that people should eat dark chocolate in lieu of exercising. Nothing replaces aerobic activity for keeping the body fit and healthy. The study does show that consuming a few ounces of dark chocolate before exercising could greatly improve the stamina through increased energy. Results are promising, as test subjects saw a fifty percent increase in performance during a workout after eating dark chocolate prior to exercising versus those who exercised without dark chocolate. In addition to this new discovery of dark chocolate helping to improve athletic performance by producing more muscular energy, dark chocolate has also been shown to improve heart health and lower blood pressure. Dark chocolate, unlike milk and white chocolate varieties, contains large amounts of antioxidants, which destroy free radicals that can cause problems like heart disease. The cocoa phenols present in dark chocolate are what help lower blood pressure. These are present in higher quantities in European produced dark chocolate and almost non-existent in milk and white chocolates.